Today, is a hectic day. This week. Has been a hectic week. And I am so very exhausted. I keep thinking, next week, I'm back on campus, sitting in class, most probably scribbling a bunch of nonsense on a piece of paper where I'm supposed to write down names of cases and the principles. But I haven't had enough of the holidays. Or maybe, I've had too much of it. I cannot imagine myself attending class every single day, starting at 8AM and ending at who knows when after this hectic month I've had. I'm not a part time student, only on campus once in awhile. I am a law student. My life, during the semester is supposed to be dedicated to the law books. And yet, I find myself filling up my calendar, even on weekdays, even during classes. But I realise, that I cannot do this anymore. I owe it to my scholarship and my internship with a 4-years contract. That's for sure. So, I would like to announce to you, my dear readers, that I promise to blog at least once a week. But it will no longer be how it used to be. It will still be about fashion, of course! And #syadhilwedding has yet to be finished. I will also tell you about whatever that is interesting about my days in college, like futsal. Or debate. Or my one-hour lunch break that I managed to go to Hartamas and come back on time for the crazy lecturer's class. I want you to get to know me. The real me. I'm no girly girl. I do not wear make-up to class. I'm a great defender. I read about the world. I care about the world. Oh, and I'll be conducting a project for stylebysya called "Project Fashion-Intellect" but I'll explain about it soon. Looking forward to the last week of holidays. The second day of Raya started a bit late. The reason for this is that my family's car got broken into while it was parked for the night in Johor. And when my dad saw the car, he wanted to go fix the smashed window. There was none. I kid you not. I promised that I'll post another styling of the "Raven Zip Dress". So here it is! I actually wore this to the Mother's Day dinner we had with the Husband's family, celebrating two mothers, my Mother-in-law and my SIL. I'm not a mother just yet. InsyaAllah, some day. 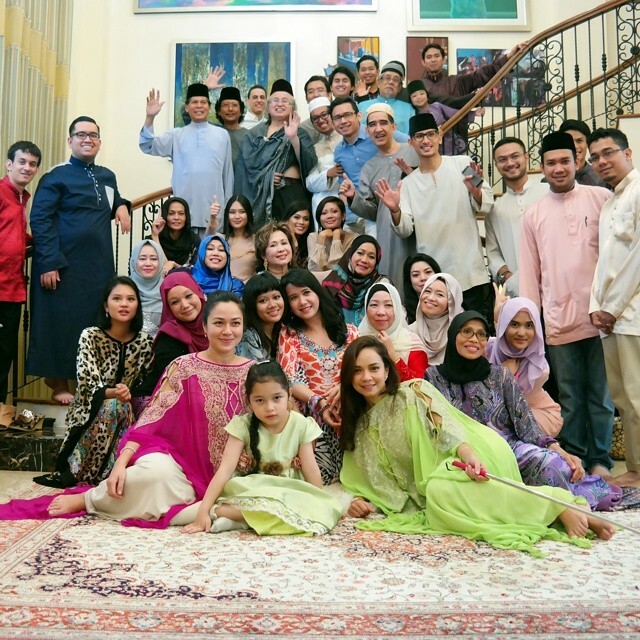 The best thing about the month of Syawal is that there are lots of open houses (read: FOOD!) Sometimes, you'll have more than one invitation a day and whether it's to satisfy your stomach or it's your societal duty to accept every invitation, you end up attacking the buffet line at a few open houses in the span of an hour or two. Which, isn't that good for your digestion system, but hey! We all do it! This is going traditional, isn't it? Songket plus long kebaya! 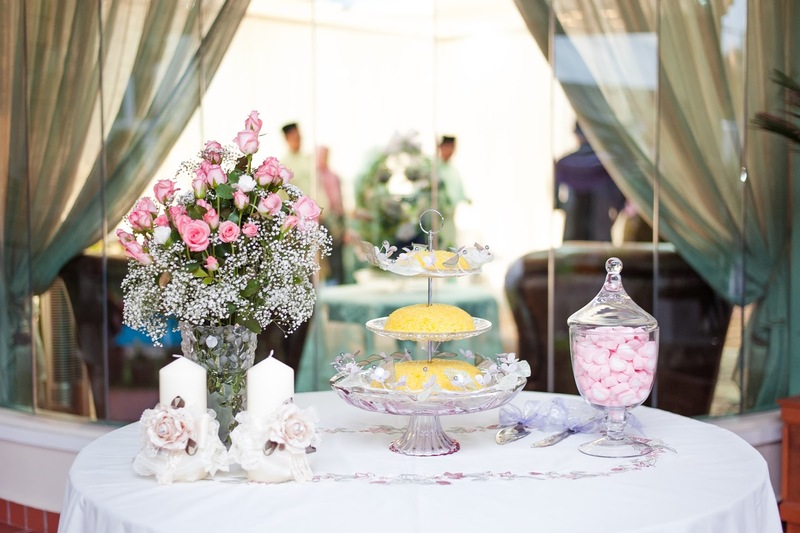 Although, the colour, again, is rather soft and pastel, unlike traditional songkets. 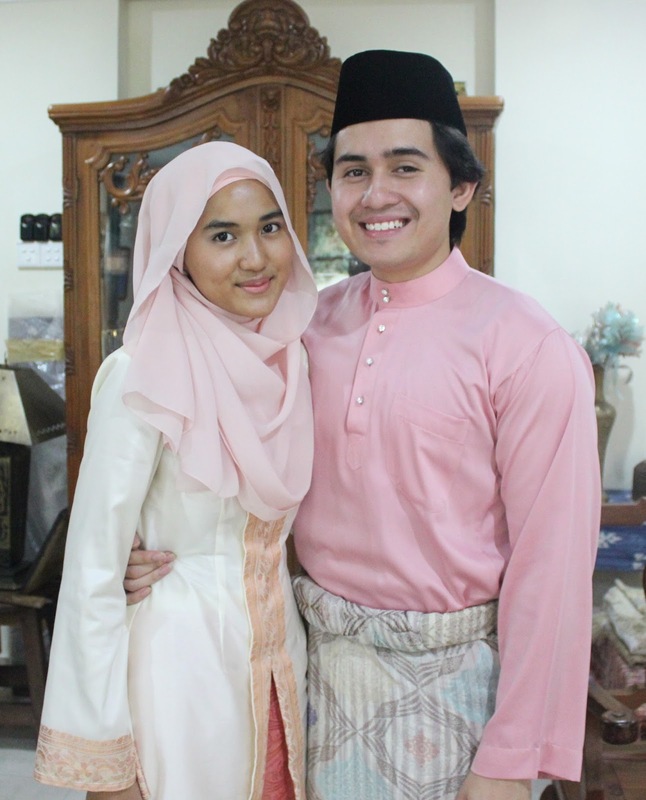 In my previous Raya look post Traditions : Pretty Pastels , I explained the reason for my choice of colour and style for this Raya. We all know how much I am into bright and bold colours. But the night before Raya (or really, the whole of Eid) I decided to go for pastel hues instead as it is my first Raya as a wife and I would like to pose a sweet and modest impression on our elders. Selamat Hari Raya to all my brothers and sisters!